A small, rugged, lightweight machine for heavyweight R&D efforts, GEMStar XT makes optimal use of lab space and research budgets. 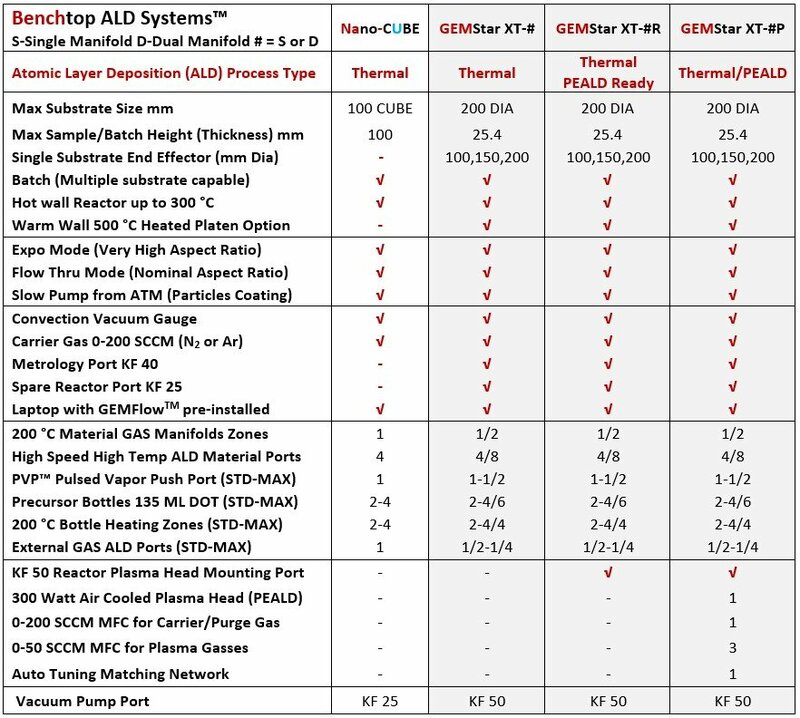 The GEMStar-8 XT PEALD Plasma Enhanced Atomic Layer Deposition system offers our greatest flexibility for both processing and substrate size including 300 °C (500 °C optional) PEALD and Atomic Layer Deposition (ALD) processing of up to 200 mm dia (8 inch wafers) in a single system. 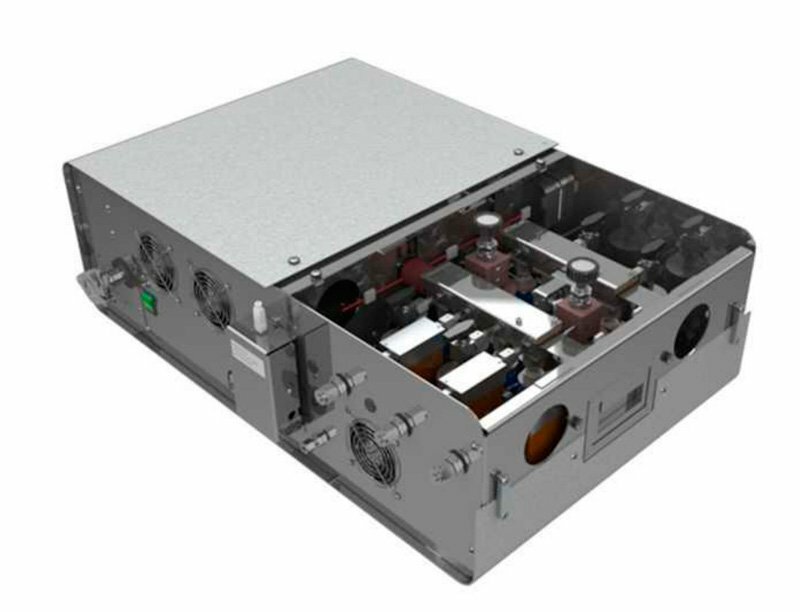 GEMStar-8 XT PEALD is equipped with a 300 Watt air cooled direct Inductively Coupled Plasma (ICP) system with four metal sealed mass flow controlled gas inputs, dual 200 °C manifold zones and eight high speed c-seal material ALD valve ports, two locatable 175 °C material temperature zones. One standard port allows Pulsed Vapor Push technology controlled by an additional high speed c-seal ALD valve offering a solution for low vapor pressure materials. 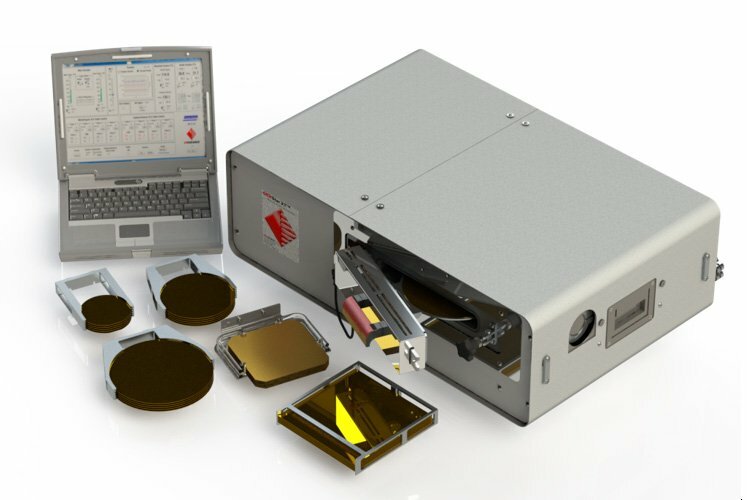 After many years of internal system, process, research and testing we offer the only Benchtop PEALD and Thermal ALD system for your material development critical to your needs. Do not be fooled by other’s claims. Allows up to 500 °C hot plate operation while heating the chamber walls up to 300 °C. Plug-compatible door module allows easy swap with standard 300 °C hot wall operation. 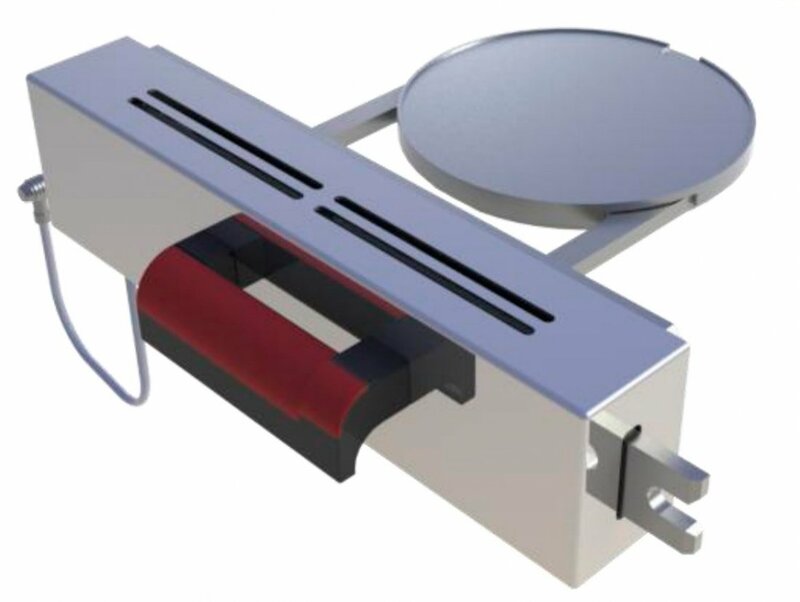 Stainless steel heater design with retained 6" aluminum chuck to achieve temperature uniformity of substrate. All external temperature safety standards maintained with the option. Space in the glovebox: The access port for the swing-out door of GEMStar built into the back or side of the glovebox maximizes the usable workspace inside. No space is taken up in the middle of the glovebox by a large chamber. 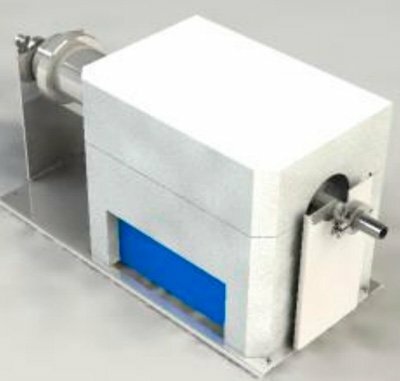 Ease and Safety of Loading/Unloading: The substrate holder swinging out with the sidemounted door of GEMStar makes it easy and safe to load/unload substrates with minimal exposure to the chamber and minimal particle introduction. 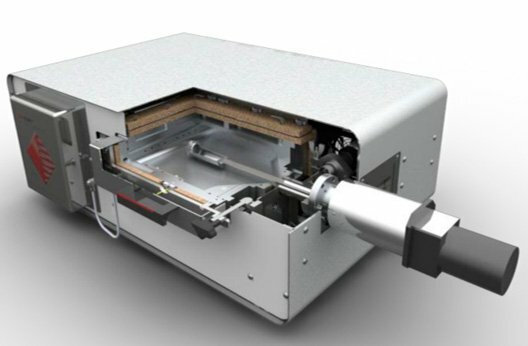 Heat management: In GEMStar, most of the chamber heat is outside of the glove box, unlike vertical chambers which add significant heat load inside the glovebox which has to be actively managed. Access to precursors and maintenance: GEMStar mounted on the back or side of a glovebox retains its easy, waist-high access forprecursor changeover and maintenance, unlike vertical chambers mounted under the glovebox with challenging access for maintenance. Ozone is a stronger oxidizer than water and allows lower temperature ALD oxide depositions on temperature sensitive polymer substrates. With its higher reactivity, Ozone allows a broader range of precursor chemistries. Ozone can also be used for in-situ cleans. 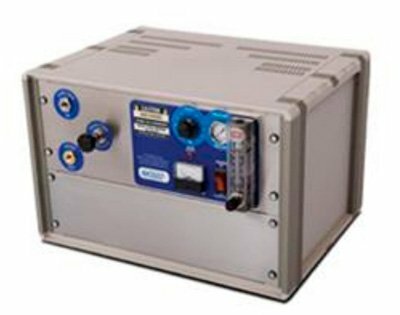 Ozone is generated on-site from an O2 discharge, with continuous flow to the exhaust through an ozone destruct. The Ozone is connected to a process gas port on the back of GEMStar. Ozone dose is controlled through an ALD valve on the oxidizer manifold with GEMFlowTM software. The in-line furnace is typically operated at 700 °C which can break down most commonly used metalorganic precursors. It is capable of reaching temperatures up to 1100 °C. The oxide or metal particles generated in the furnace are captured in a metal-mesh particle trap and prevented from reaching the pump. 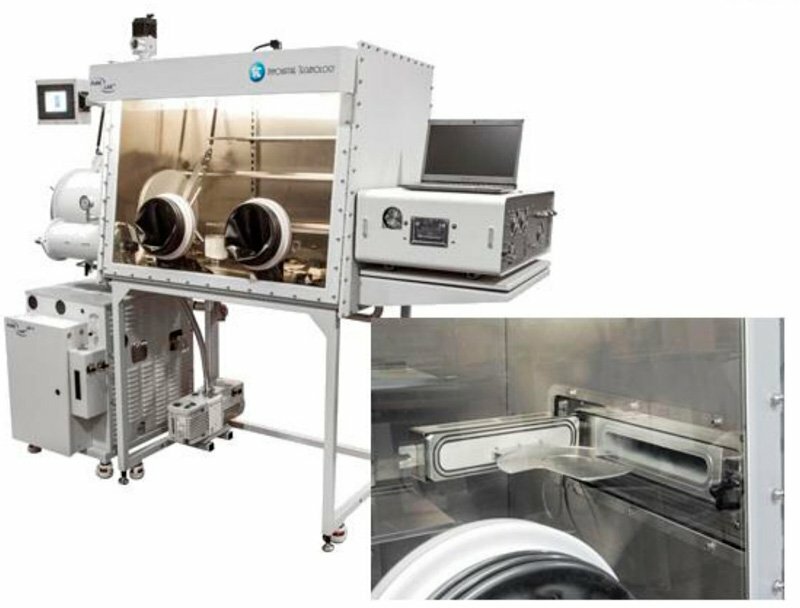 The GEMStar chamber size can accommodate up to 8” (200mm) diameter wafers, or 3D objects up to 1.3” (33mm) tall, or powders. Up to 300 °C hot-wall design with convective heating can achieve ±1C temperature uniformity in 3-dimensional space thus enabling conformal depositions over powders. Exposure control is critical for conformal ALD films on high aspect ratio structures. Partial pressure and residence times are precisely controlled with a downstream vacuum valve. Specially designed particle holder can be conveniently connected to GEMStar through the KF40 metrology port. Quick disconnect particle canister facilitates loading and unloading of particles. Customizable screen filter on particle canister. Seal-less magnetic drive for continuous rotation with user settable RPMs to facilitate conformal coatings around the particles. Cost effective solutions that address the Atomic Layer Deposition (ALD) research community’s and low volume manufacturing’s current and future needs over a broad range of substrates and sample sizes.